The motives behind Motivation was published by me on the Linked In. 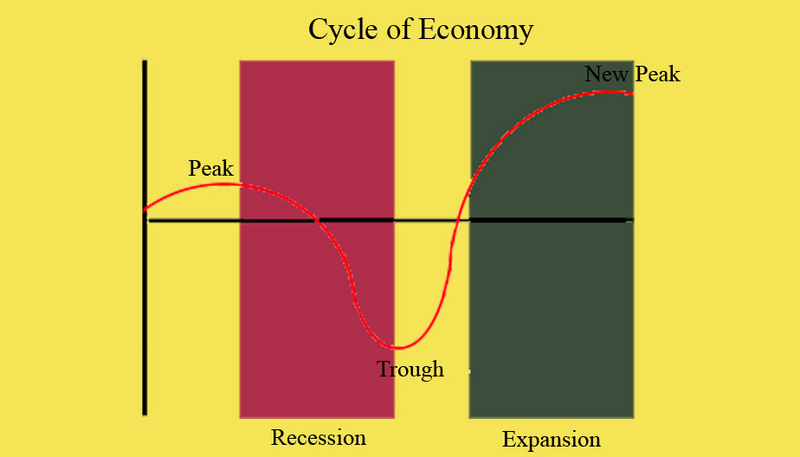 The global economy follows a pattern of peaks and troughs and the mantra to survive those inclement phases of recession is to stay prepared in advance. Readiness calls for periodic retrospection or self-appraisal followed by an honest endeavor to upskill ourselves. There is an old saying "if you aren't growing, you're dying" and this drive for growth often is what separates the outstanding from the adequate. 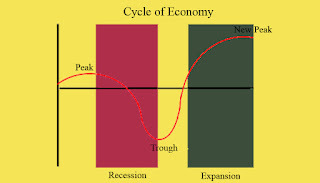 The thought of “further development” invariably annoys us at the beginning and a common question that haunts us is “why bother about further development within our busy daily schedule?” A gentleman once confided that he would rather be investing that resources for the future of his children. But the harsh reality of present day life is that no jobs are permanent. Over the past decades, we have witnessed numerous profit making business models employing thousands around the globe going bankrupt or venturing into a totally new arena. Another fact is that majority of today’s top ranking companies are less than 20 years old, thanks to evolving technologies. Continuous training of employees including the managers in certain industries are no longer an option but a necessity. Professional membership to institutions such as PMI and CIOB insists on tangible continuous development. These are quantified through “Professional Development Units” and “Continuous Development Units” respectively. Survival therefore comes only with meticulous self-planning and happenstance could only take us so far. Self-development is complicated to categorize considering the potential to improve one of our many aspects, be it persona, character, Knowledge or skill. But in the context of professional improvement, it has to be measurable and it is more of a process rather than being a one-time endeavor. Trompe-l'œil as defined by Wiki is French for "deceive the eye". This is a technique of art which uses realistic imagery to create the optical illusion that the depicted objects exist in three dimensions. A typical trompe-l'œil mural might depict a window, door, or hallway, intended to suggest a larger room. This is also written as trompe l’oeil in English and is thought to have originated much earlier than our documented history. Examples are found in murals from Greek and Roman times. About a decade ago, I was involved in a project for one of the royals and that was my introduction to the world of trompe l’oeil. We had crew of artist sent out from our Rome office to do carry out the task. It was the female bedroom of the suite in his so to say winter getaway. The idea was to have the drapes painted on the walls to match those installed on the windows. I was the architect overseeing the commissioning of the fit-out and was quite pleased to be part of the overall experience. While leave some imagery from that job here, I will save the description of its application process for another time and place. There is a popular story of deceptive painting involving two renowned Greek painters from around 464 BC. Zeuxis once produced a still life so real that it convinced the birds to peck at the grapes in there. Parrahasius, a rival artist later invited Zeuxis to judge one of his paintings after pulling back a tattered curtains in his study. But when Zeuxis tried, he could not, as the curtains too were part of that Parrhasius's painting. This also reminds me of our own mythological story of Mahabharata. When the Pandevas invited their cousins Kauravas to their new palace, Duryodhan had trouble differentiating real from illusions and making a clown of himself in the process. I have been a proponent of checklist all through my construction management days and I usually practice what I champion. The checklists has been part and parcel of construction process and procedures for years. Other high risk industries like Aviation, or ship building too uses this as missing a step could result into expensive losses of time, money and sometimes human lives. The Hedge fund managers too have their own checklists. In our industry it is mandatory to attach a checklist while submitting “method statements” or ITP (Inspection and Testing Protocol) for consultant’s review. These are equally important while conducting a Risk Assessment before commencing a fresh construction activity at sites. It is difficult to apprehend why there should be such resistance in implementing a powerful tool like this one in their day to day work activities. It would be interesting if a research was carried out to find out if the reason behind this reticence is ignorance, over confidence, the “I don’t need it, I know it all” state of mind or a combination of many such factors. As a matter of fact, Checklist are tools to make an expert perform better. Human memory and attention often fails when it comes to routine matters and important aspects can be easily overlooked. Checklist can solve our dilemma about when to follow the protocol and when one’s own instincts. It also comes handy when faced with a situation requiring us to process high volume of information. Aviation pilots uses one before takeoff and landing and someone once explained that is not a recipe for how to fly a plane but a reminder of key things that often get forgotten or missed if not checked. Since then when I notice the aircrew making the routine checks before takeoff, I get reassured. The organizations that practically implement these processes are few and far in-between. This results in high volume of avoidable rework and frequent incidents leading to life changing losses to humans. The direct impact on the project is invariably low quality, higher cost and delayed completion. It was a shot in the arm listening to Dr. Atul Gawande, a Boston based surgeon highlighting the advantages of using Checklists in his TED talk. His narration about collaborating with WHO to develop a universal “surgical checklist” and making significant difference to the world was very intense. He admitted that the idea of checklist was borrowed from high risk industries such as aviation and skyscraper construction. Interestingly enough it was a team from Boeing who provided him assistance while preparing the first checklist for medical field. Checklist can be categorized into two distinct types. The first one is “Do-Compare” checklist for general routine tasks which one does out of memory and compare against the list. The second one is “Read-Do” checklist are like recipe and mainly for events that are very new for the users. I wish we play our part to use this powerful tools more extensively to improve the KPI (key performance indicators) as well as make our construction project sites a safer place to work.